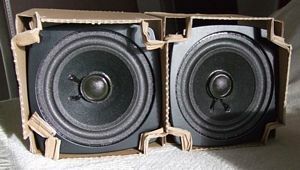 I first purchased a pair of these speakers in 1977 and have retained my interest and enthusiasm for them to this day, having offered this service for the last 25years. 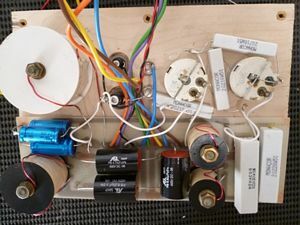 Rebuilds have been carried out for a variety of clients worldwide from Australia, New Zealand, USA, India and Europe who like me share an enthusiasm for these unique and iconic loudspeakers. 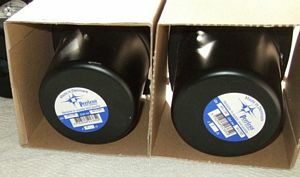 Repair and rebuild service for both 401 and 402 loudspeakers is available to your requirements and budget. 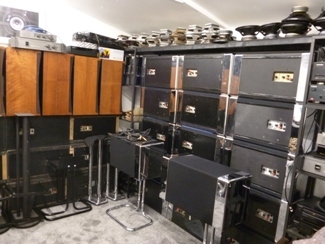 These loudspeakers are now 40 years old, a typical owner being someone who purchased a pair way back and wishes to return them to their former glory. I carry a large amount of original parts and components including either Chrome or Black end caps, a Bass and Midrange re-foaming service or replacement of any faulty driver. Crossover components are checked and repaired where necessary to original. A loan pair of speakers may be available whilst your speakers are being worked on. All work is carried out in my own workshop. 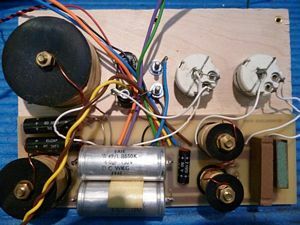 I do not sell individual parts and components, all original spare parts are retained for use in existing speakers. I will only return your loudspeakers to original specification. I specialise only in Gales and do not carry out work on any other loudspeaker. I am always interested in buying any pairs in poor condition for spare parts so please contact me if you have any.